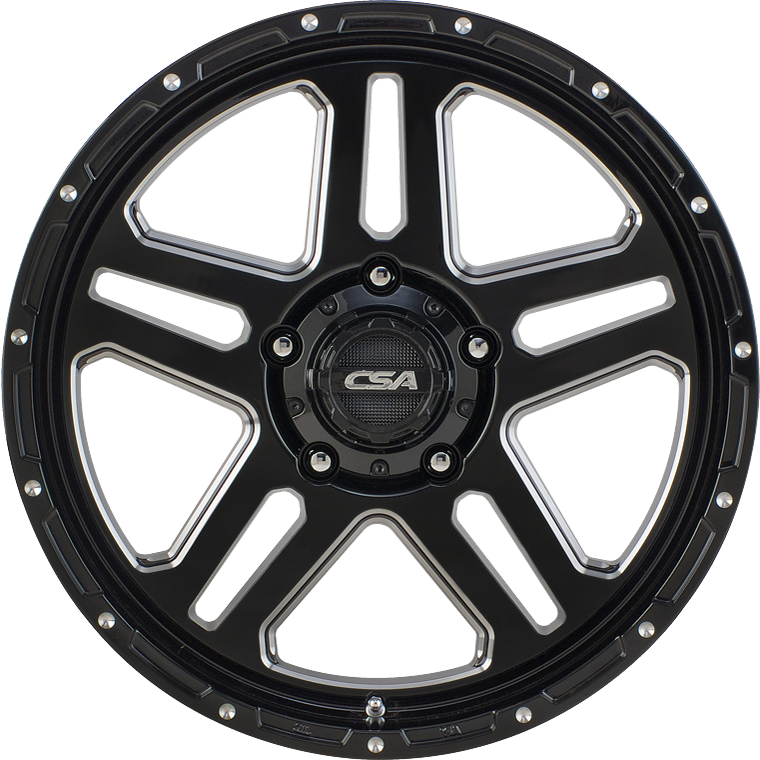 CSA Bronx features a gloss-black paint finish, with a tough, 5 x split-spoke design. CSA Bronx features a gloss-black paint finish, with a tough, 5 x split-spoke design. The brightly contrasting double-milled edge, and deep lip ensure this wheel is going to be a stand-out style within the CSA Alloy Wheel range. Bronx is available in sizes 17x9, 18x9 and 20x9 sizes. Fitments are available to suit all popular SUV & 4x4 applications.